The theremin is a single oscillator electronic musical instrument with two metal rods used to control pitch and amplitude by the human performer using hand gestures. The left rod (a horizontal hoop) reduces the amplitude as the left hand is moved closer to it, while the right rod (a vertical pole) increases the pitch as the right hand is moved towards it. Well, you stand in front of the theremin and wave each of your hands near to one of the two metal (radio-type) ‘aerials’ or ‘antennas’ that each creates its own electromagnetic ‘field’. The distance of your hand from one controls the pitch (frequency) and the distance from the other controls the volume (amplitude) of its oscillators. To play higher notes, just move your hand closer to the pitch controller, and to play louder notes, move your other hand away from the volume controller. Most players use their right hand to control the pitch and their left hand to control the volume, although some performers prefer the opposite way – always someone has to be different it seems! “Oowah, Oowah” – what’s that spooky sound? Is it a bird? Is it a plane? Mais non, mes amis, c’est un Theremin! I first heard this instrument while watching old movies back in the 1950’s such as Bernard Hermann’s “The Day The Earth Stood Still”, Miklos Rozsa’s “Spellbound” and Samuel Hoffman’s wonderfully-named “It came from Outer Space” and I kind of wondered what instrument was making this sound. But in 1966, when I first heard the intro to the Beach Boys hit record “Good Vibrations” which featured an Electro-Theremin, I really started to sit up and take notice! I quickly learned that the instrument had been invented by a young Russian physicist named Lev Sergeyevich Termen (better known as Léon Theremin) in October 1920 and patented by him in the US in 1928. But this was just the beginning of its fascinating story! US Manufacturer RCA introduced the first commercially-produced version of the instrument, which they called the Thereminvox, in 1929 – immediately following the Stock Market Crash that year! 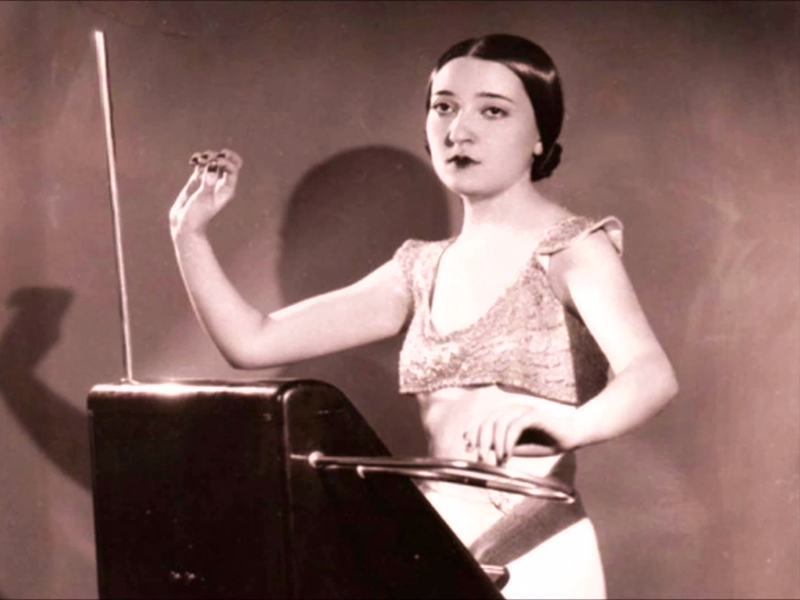 One of the most well-known performers to adopt the instrument, Clara Rockmore, toured extensively playing classical repertoire on this instrument and it was popular with a number of others, including Alexandra Stepanoff who played the theremin on NBC Radio back in 1930. The theremin fell out of use by classical musicians after WWII when newer electronic instruments came along, but, in 1954, Bob Moog began making his first theremins while he was studying at high school! This early experimentation directly led to the invention of the Moog synthesisers and Bob Moog’s theremins are still around and in use to this present day! By the early 60’s, Bob Moog and his father had made and sold more than 1,000 custom-built theremin kits. Then he built his first modular synthesiser prototype in 1963! In 1967, he established R.A. Moog Inc. and started manufacturing his Modular Synthesizers I, II, and III – which were quickly adopted by film composers. In 1968, Wendy Carlos’ ground-breaking Switched-On Bach album was recorded using just one custom-made Moog Modular synthesizer. In 1970, the Minimoog Model D synthesiser was launched and sold more than 12,000 before production ceased in 1981 – the year I bought my second-hand late-70’s model! 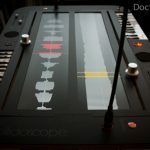 In 1991, Bob Moog designed the Series 91 Theremin, which was produced by Big Briar until 1996. in 1993, Bob Moog’s build-it-yourself Theremin article appeared in Electronic Musician and the instrument he designed for this article became the Etherwave Theremin, which continues to be sold today in kit and assembled forms. Rudi Linhard developed the LMC MIDI conversion kit for the Minimoog, which Big Briar sold and installed until 1999. In 1998, Moog introduced the Moog Ethervox MIDI Theremin, which could also be used as a MIDI Controller for any MIDI synthesizer using hand gestures. Built into a handsome mahogany cabinet, this strongly resembled the RCA Thereminvox visually, and offered a choice of three pitch ranges: TENOR (up to 2 octaves above middle C), ALTO (3 octaves), or SOPRANO (4 octaves). The MIDI Theremin, as you might expect, both sends and receives MIDI, so performances can be recorded and played back using any MIDI sequencer, and it has three continuously-variable tone controls: for WAVEFORM (to adjust the predominant overtones); BRIGHTNESS (to adjust the overall strength of the overtones); and FILTER (to control how rapidly overtones decrease with higher pitches). In 2004, to mark Moog Music’s 50th anniversary year, Moog Music released the Etherwave Pro Theremin – one of the last instruments to be designed by Bob Moog before he passed away in 2005. This remained in production by Moog Music until 2007. The Etherwave Pro, designed for professional performers to use onstage, had a 6 1/2 octave pitch range and the controls included a range switch to let you select from its three octave ranges. Volume and Pitch antenna response could be tuned using the two large wooden pitch and volume knobs on the control panel, with fine adjustment trim controls also provided at the bottom of the panel. A rotary Timbre switch allowed the performer to select one of the five preset classic theremin tones or to enable the front panel Waveform, Brightness, and Filter controls that could be used to create unique theremin tones. The Etherwave Pro had a headphone output with level control, a dedicated tuner output and a line-level audio output, together with Pitch and Volume Control Voltage (CV) outputs to allow interfacing with other synthesisers or effects. The Moog Etherwave Theremin has a 5-octave pitch range; a rotary PITCH control for adjusting the response of the pitch antenna; a rotary VOLUME control for adjusting the response of the volume antenna; a rotary WAVEFORM control for adjusting the waveform of the audio output; and a rotary BRIGHTNESS control for adjusting the brightness of the audio output. Audio output is via standard 1/4″ phone jack, which delivers line level output to your amplifier. Still available from Moog Music Inc., the Moog Etherwave Theremin, can be mounted on any microphone stand and comes with an instructional videotape by Lydia Kavina; a documentary video about Clara Rockmore; a photo-history booklet by Bob Moog; and even a hot-rodding manual with ideas for setting up & customizing your Theremin – what more could a young enthusiast wish for! An upgraded version of this, the Etherwave Plus, also has CV and Gate outputs so you can control synthesizers and effects while playing the Theremin – or use it as a stand-alone CV (Control Voltage) controller. 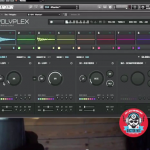 You could control the pitch and volume CV inputs of an analogue synthesiser, or the cutoff frequency of a Moog Ladder Filter, or the LFO Amount on a Moogerfooger Ring Modulator, or the stereo panning on a Minimoog Voyager – as just a few examples. Most importantly, this model has a headphone output (with its own volume control) that gives you a ‘pitch preview’ facility – so you can hear your note before the audience does! 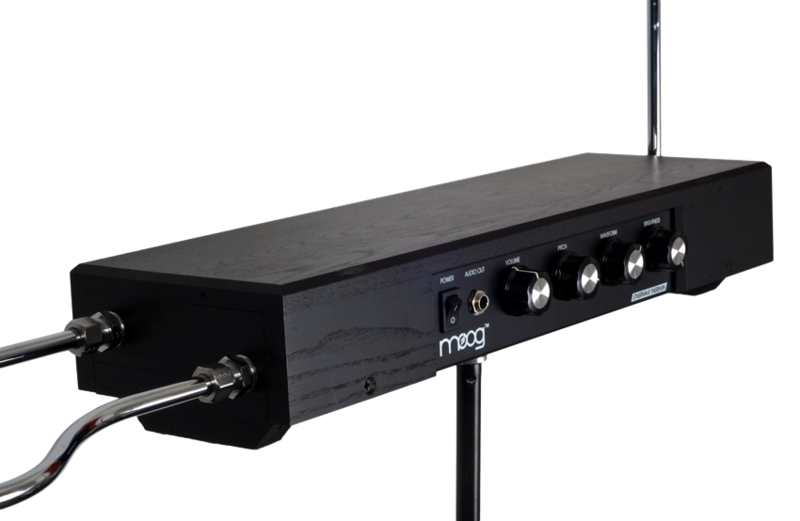 More about the Etherwave Theremin on Moog’s page. You should also check out Theremin: An Electronic Odyssey, the 1993 documentary film about the life of Léon Theremin. 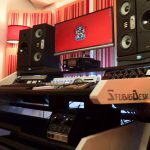 Do you want the sound of Doctor Mix’s Theremin on your your track? Contact us now and let us know more about your project.